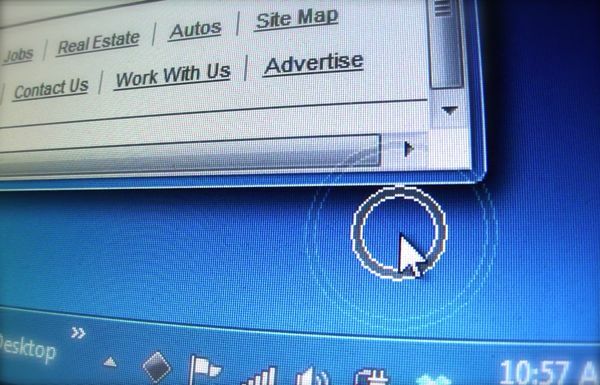 Ever lose track of the tiny mouse cursor on your big Windows desktop? I certainly have—and when I do, I usually have to swipe my mouse back and forth to find the pointer again. Effective, but annoying. Well, there’s another, easier way to find a lost cursor: by turning on a setting that’ll make the cursor pulsate whenever you press the CONTROL key. 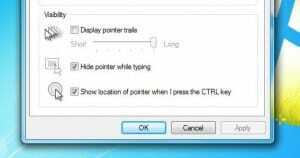 Just check the “Show location of pointer” box to make the cursor pulsate whenever you press the CONTROL button. Under the “Devices and Printers” heading, click the Mouse link, then click the Pointer Options tab in the Mouse Properties window. Go down to the very last option—the one that reads “Show location of pointer when I press the CTRL key”—and click the checkbox. Now, try pressing the CONTROL button—and when you do, a large animated circle will highlight the mouse pointer on your desktop. So much for playing “hide and seek” with the mouse, right? Looking for more Windows tips? Click here!